So, your company has had an ERP system in place for as long as you can remember. You’re aware that ERP systems can bring about cost savings, by integrating disparate systems. 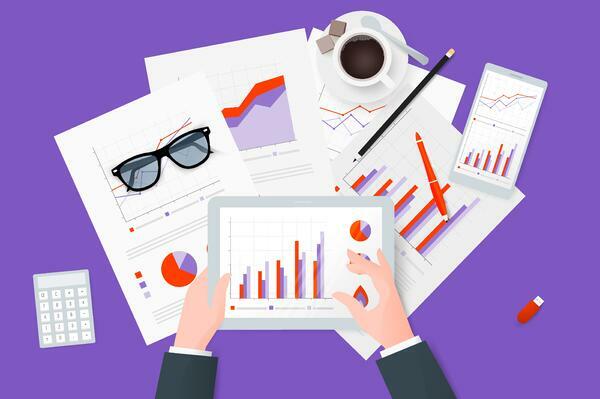 That it can make financial reporting easier, by reducing the need to manually enter and reconcile data. Just to name a few benefits. But perhaps these advantages aren’t materialising anymore. Instead, you find it more challenging to get things done. Here are three signs that your legacy ERP system could be causing bottlenecks at work. GET A BALANCED LOOK AT THE PROS AND CONS OF CLOUD AND ON-PREMISE ERP SYSTEMS HERE. 1. 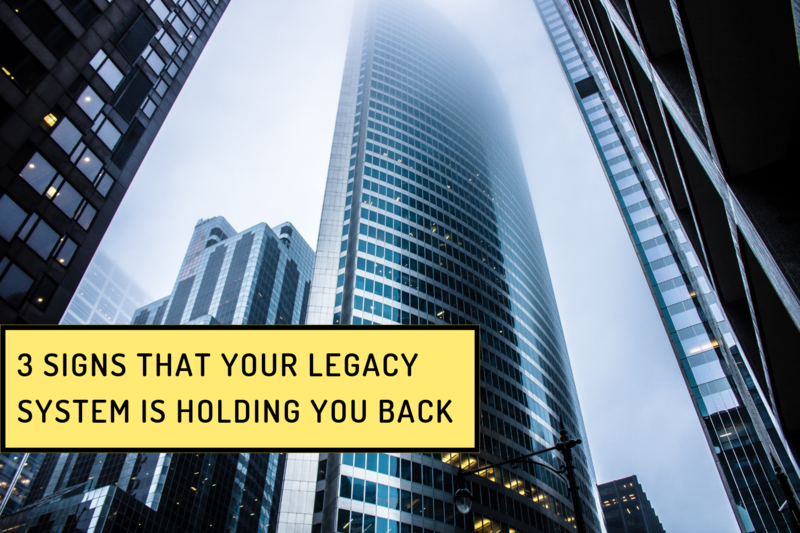 Your IT spend for your legacy system escalates every year. Hardware maintenance costs are just one item on the bill. More likely than not, your legacy ERP system is ill-equipped to handle today’s challenges and increased demand. Perhaps your system couldn’t generate reports that consolidate data from several branches out of the box, because it was deployed when there was only one office to speak of. To get around it, you had your legacy system customised. While such customisations can help to plug the gaps, they’re complex and don’t come cheap. And they can’t be ported over automatically if you upgrade to a newer version of your ERP software. If you have to upgrade your system for any reason, expect to dedicate a big chunk of the budget to your vendor, so they can re-implement everything from scratch. 2. Your team’s productivity is lower than expected, and it’s challenging to onboard new employees on your legacy ERP system. If you find that consolidation takes up more time than you expect, your legacy system could be a cause. It might be that your legacy ERP system isn’t enabled with the latest technology, so your team have implemented complicated, manual work-arounds. Let’s use a simple scenario. Suppose your vendors email PDF invoices, which have to be manually entered into your legacy system. Only because it can't process invoices automatically. That’s time spent reconciling data, when your team could’ve been analysing that data instead. Not to mention an increased risk of costly mistakes. Or it could be an outdated and un-intuitive interface, that takes users through a maze just to retrieve something as simple as your general ledger data. A clunky interface like that could also make onboarding new employees a chore. You might find that a large part of your time goes into handholding them through the basics of navigating around the system. 3. Your company's sales team don't have access to your legacy ERP system when they're out of the office, so they have to cross-check data with your team. Your ERP system should offer 360-degree end-to-end business visibility. But maybe it does, only in the office. Perhaps you’ve experienced it yourself – you’re in the middle of keying a new invoice into the system, and a colleague from Sales calls to check if a client’s invoice is due. He apologises; he doesn’t have access to that data on his phone. Or perhaps you’ve had to drop whatever you’re doing to generate a quotation, when a sales representative calls in. 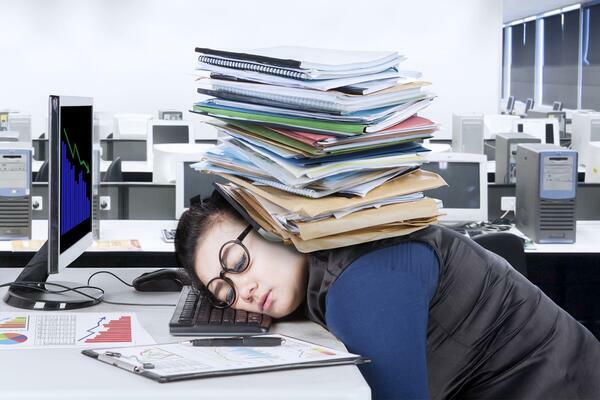 So instead of delivering increased operations efficiency, a non-mobile ERP could be a major drag on your productivity. 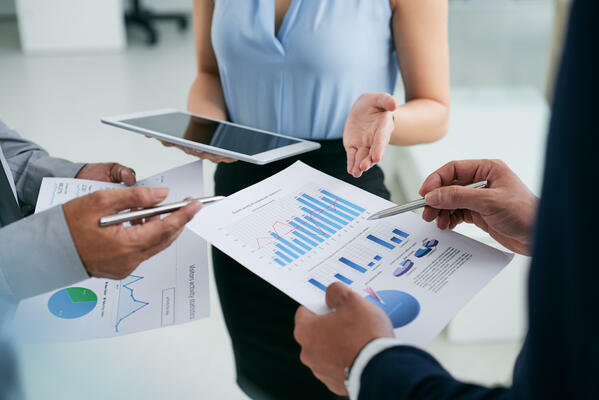 If these three scenarios are all too familiar, perhaps it’s a sign that you should seriously consider upgrading to a robust Cloud ERP like Microsoft Dynamics 365 Business Central. As a true Cloud ERP system, Business Central can help you save costs, improve productivity, and get full business visibility. Because Business Central is designed to run entirely on the Cloud, there’s no need to purchase additional hardware such as servers. All of your data is hosted securely by Microsoft data centres, with a guaranteed uptime of 99.9%. That works out to only 8 hours of downtime a year. With less infrastructure to be maintained and worried about, your IT personnel are free to focus on more important tasks that contribute to your bottom line. So, you save not only on infrastructure costs, but also on manpower opportunity costs. And if you have industry-specific requirements, Microsoft AppSource offers over 200 extensions catered for diverse sectors. These extensions are carried over automatically with every upgrade, so you can save on customisation costs. Business Central’s interface retains the familiar look and feel of Microsoft Office, so you won’t have to fumble around with an un-intuitive interface any longer. And if you regularly generate sales invoices, the good news is that you can do so without leaving Outlook. With an interface that everyone’s accustomed to, you can also save time training new employees. Now you can skip the basics of navigating around the system and teach them to use the advanced features, so they can hit the ground running. Unlike many legacy ERP systems, Business Central has been designed with the post-PC, mobile age in mind. It’s web-based, so you can access it anytime, anywhere, from any device. As long as you have a modern browser, you and your colleagues will always have real-time data at your fingertips. No more fielding calls from your colleagues in Sales, because they’ll get the most up-to-date information on their clients wherever they are. Your team can now devote their attention to closing the books. Business Central is also available as an app for both Android and iOS devices, so phone and tablet power users can get things done on the daily commute. 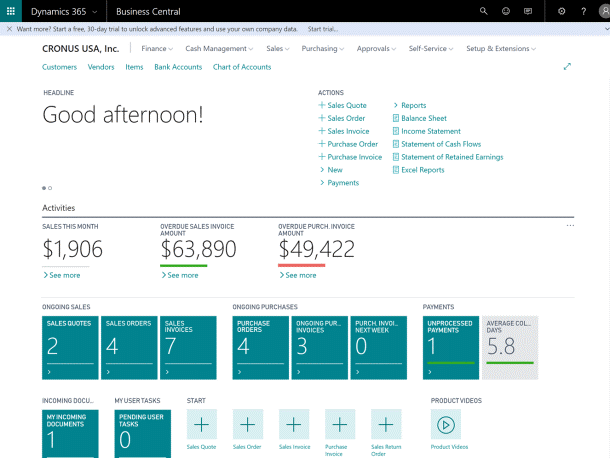 In summary, you can save on time, money, and frustration with a Cloud ERP system like Microsoft Dynamics 365 Business Central. If you’re ready for an upgrade, leave us a message here and a technical consultant will be in touch.